Square-Enix’s very first MMO refuses to die. 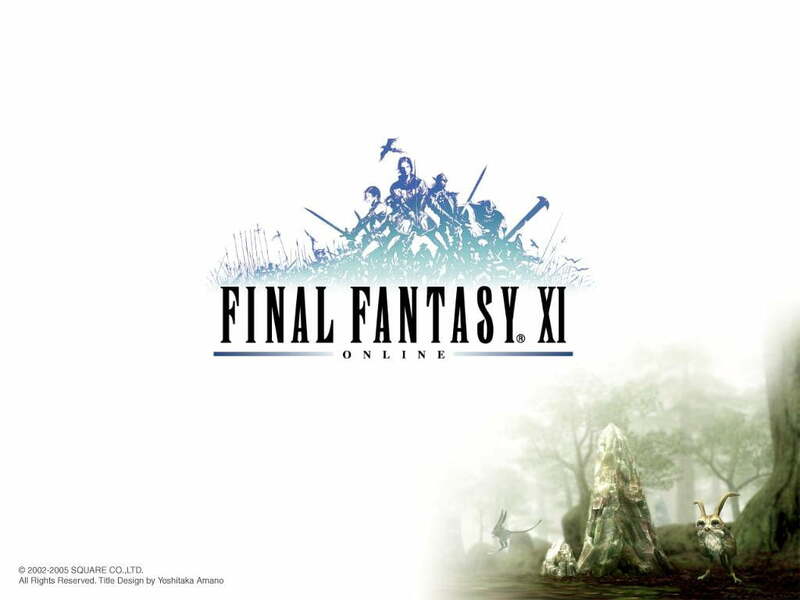 Final Fantasy XI celebrates its tenth anniversary in operation on Nov. 7, a historic milestone for the game. It has outlived even its predecessor, the much-maligned Final Fantasy XIV, whose release in 2010 was so botched that Square was forced to issue an apology to its fans and is planning a completely new release of the game for later this year. Just last week, the fifth expansion for Final Fantasy XI, Seekers of Adoulin, was announced for release in 2013. Blizzard will finish and release its World of Warcraft follow up Project Titan; Bungie will release its shooter MMO Project Destiny; Electronic Arts and BioWare will have developed, released, and closed Star Wars: The Old Republic; and Final Fantasy XI will still be trucking along. It will do so without one of its masterminds though. Famitsu (via MCV) reported on Sunday that Final Fantasy XI producer Hiromichi Tanaka has resigned from Square-Enix. He announced his departure from the company during Vanafest 2012, a ten-year-anniversary celebration of the MMO. Final Fantasy XIV producer Akihiko Matsui will replace Tanaka on the Final Fantasy XI staff, indicating that the game will continue to be a priority for Square. Tanaka’s history with Square goes all the was back to the origins of the company’s popularity. He worked on Final Fantasy I through IV and was one of the key creative leads on Secret of Mana and its sequel Seiken Densetsu 3 on the Super Nintendo. Since the game maker cited health reasons as the cause of his leaving Square, it’s a good thing that he’ll be getting much needed rest. Tanaka is just one more marquee creator to leave the company in recent years, continuing its decline as one of the premiere Japanese video game development studios. In April, three key staff members from Square’s internal studios left the company. Dissidia Final Fantasy main programmer Ryuji Ikeda, director Takeshi Arakawa, and Dissidia 012 Final Fantasy planner Shouta Shimoda all left the company to pursue new opportunities. Those are just the most recent examples. The iconic creators that built Square’s reputation in the 1990s have been abandoning the company over the past decade, starting with Final Fantasy creator Hironobu Sakaguchi in 2003. Series composer Nobuo Uematsu followed shortly thereafter and Final Fantasy Tactics creator Yasumi Matsuno left the company in the middle of Final Fantasy XII’s prolonged development. Tetsuya Nomura, Yoshinori Kitase, Motomu Toriyama, and Hiroyuki Ito are just a few of the old guard left at Square-Enix. Will they still be around when Final Fantasy XI finally goes offline at some undetermined point in the future?